Take advantage of our spectacular facilities! Our two Manhattan campuses feature a variety of indoor and outdoor spaces to host parties, corporate meetings, special events, and photo shoots. Start by completing the rental inquiry form below. Our team will be in touch and will assist you every step of the way. Please note, it may take up to three business days to process initial inquiries. Scroll down to see photos of our facilities. Asphalt Green’s Upper East Side campus is situated on a 5.5-acre campus overlooking the East River located at 555 East 90th Street. Our Battery Park City campus is located in the heart of downtown Manhattan at 212 North End Avenue. 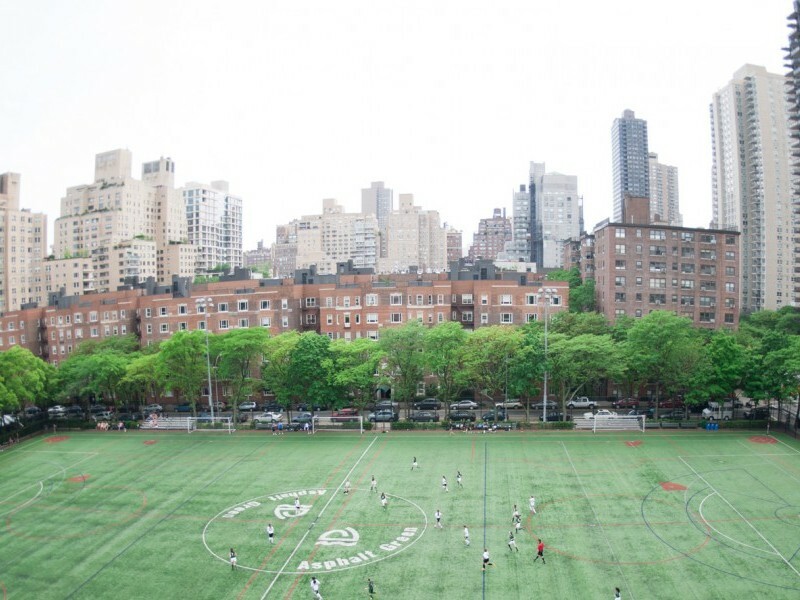 UPPER EAST SIDE FieldTurf® Field: The 361’x210’ outdoor field is available for full- or half-field rentals. Field is fully gated and lined for soccer, field hockey, lacrosse, and baseball. 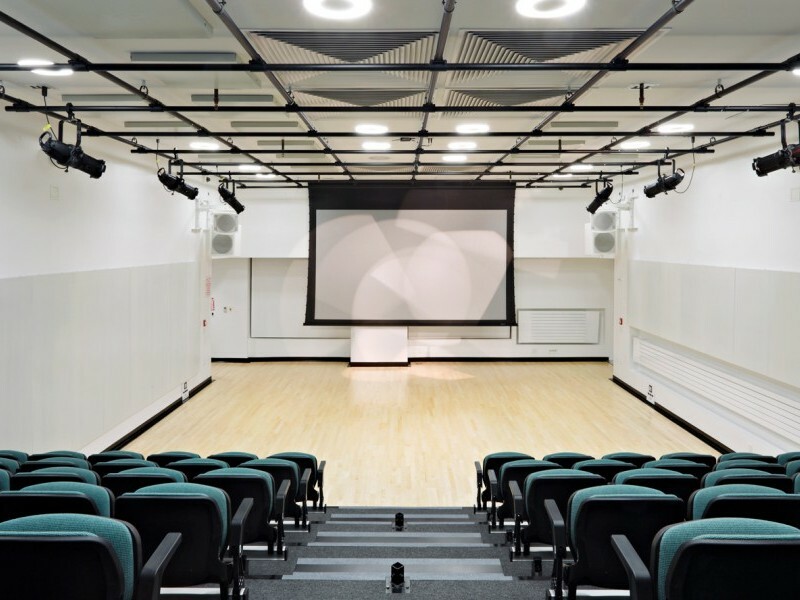 UPPER EAST SIDE Mazur Hall: Great for corporate meetings, press conferences, and performances, our auditorium features retractable stadium seating, large screen, and full A/V capabilities. Accommodates up to 85 people. 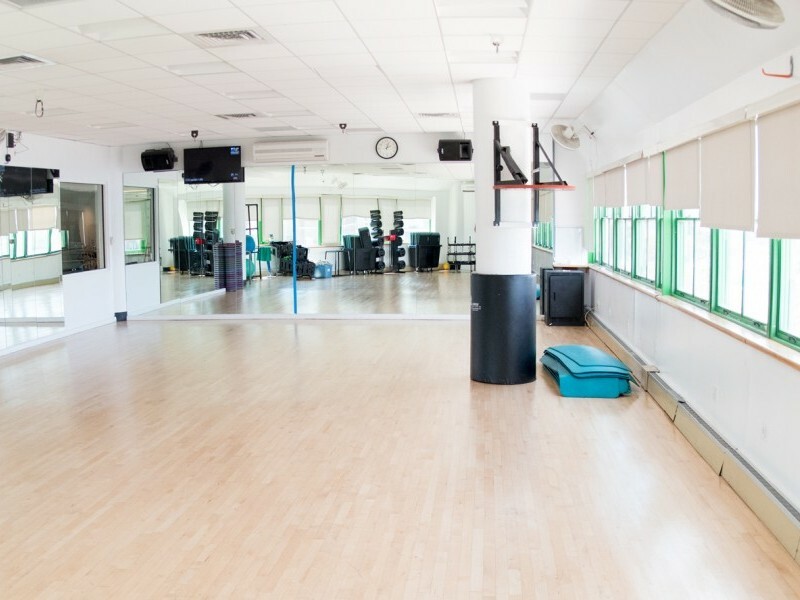 UPPER EAST SIDE Fitness Studios: Perfect for team-building exercises, casual meetings, or a small performance, these sun-drenched rooms feature mirrored walls and integrated sound systems. Rooms accommodate 10 to 25 people. 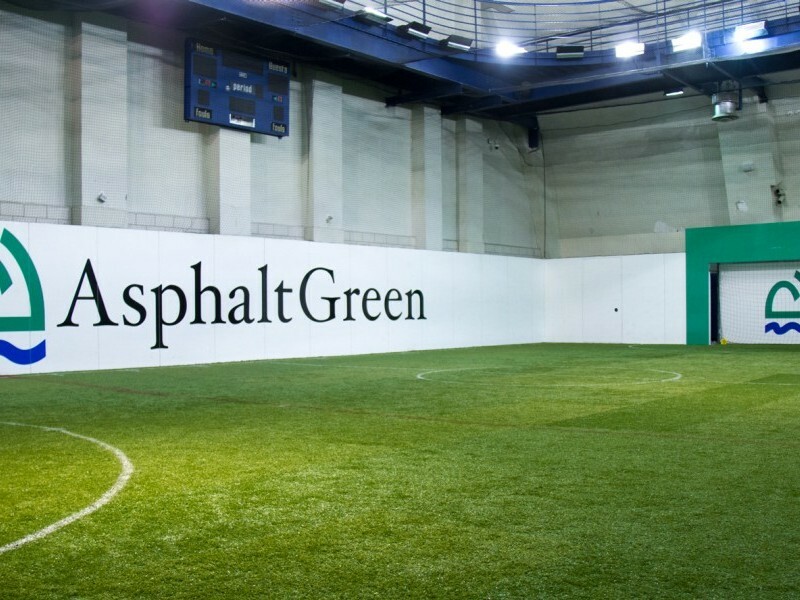 UPPER EAST SIDE Indoor FieldTurf® Field: 72.5’x45’ field with retractable 12’ goal openings, surrounded by 8’ high glass and additional protective netting. 92-person stadium seating to watch all the action. 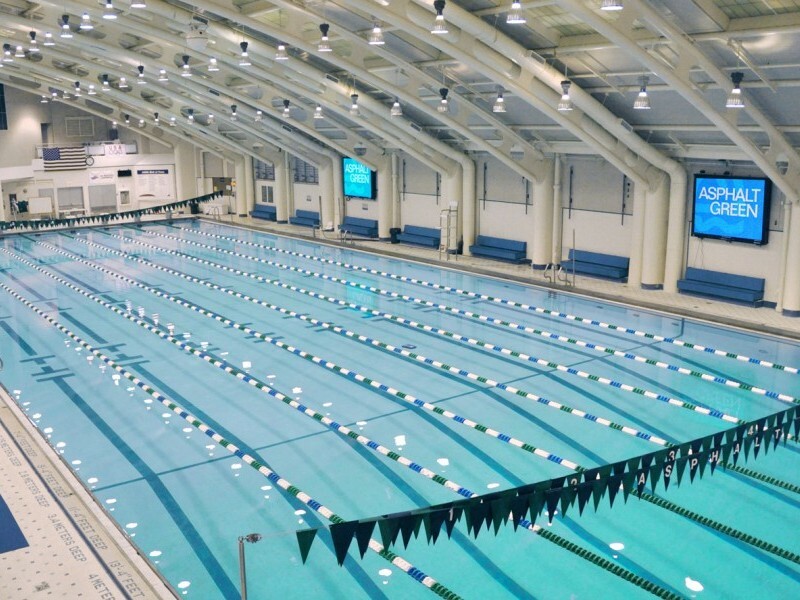 UPPER EAST SIDE Pools: The Olympic-size, 50-meter lap pool includes diving boards and a variety of lane configurations. The teaching & exercise pool features warmer water and a movable bottom. Limited availability. 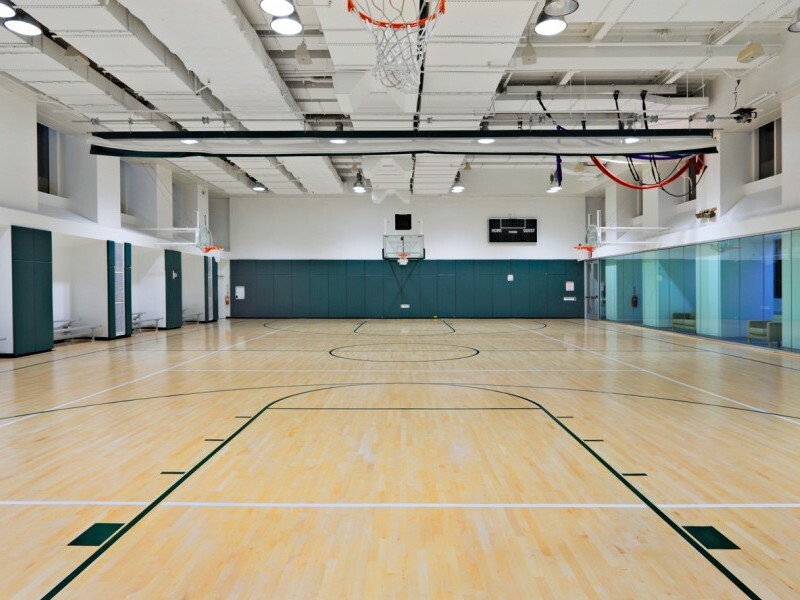 BATTERY PARK CITY Gymnasium: Our 4,800-square-foot, full-size basketball court accommodates up to 350 people. Court is lined for basketball and volleyball. Full- and half- court rentals available. 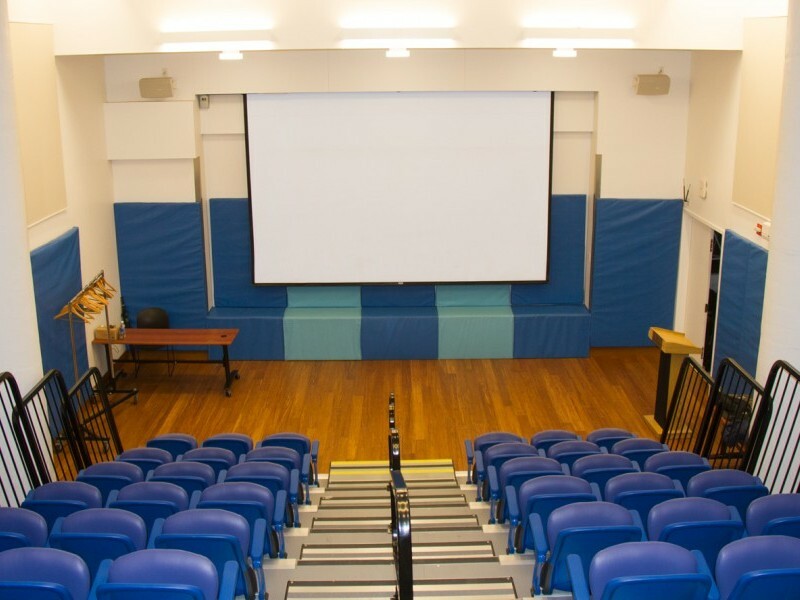 BATTERY PARK CITY Theater: Host a corporate meeting, event, party, or performance in our fully-equipped theater with A/V capabilities, oversized drop-down screen, and retractable stadium seating for 90. 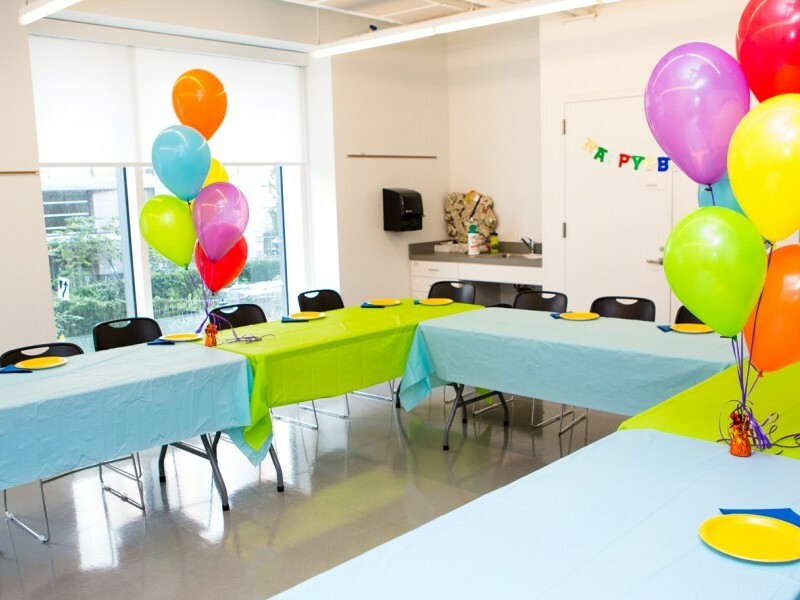 BATTERY PARK CITY Multipurpose Rooms: Offer sweeping views of downtown Manhattan. Rooms are equipped with A/V capabilities and accommodate 10 to 25 people. 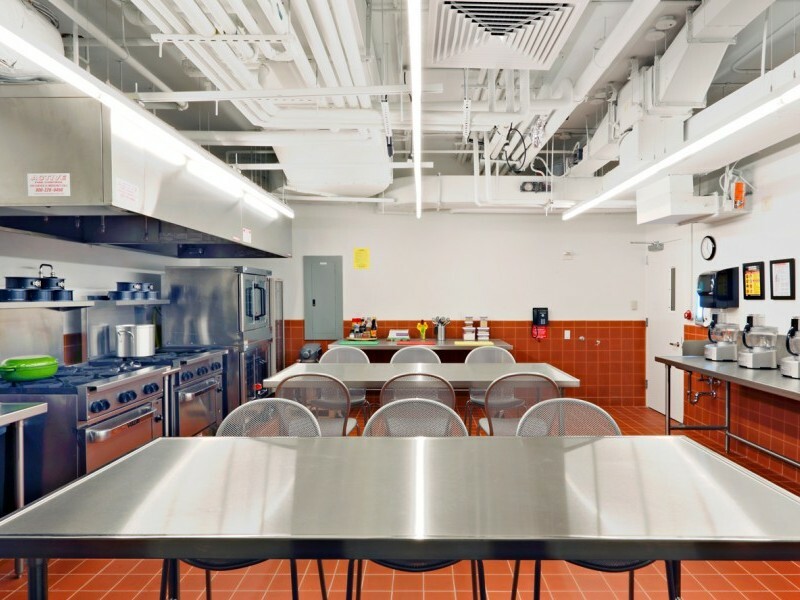 BATTERY PARK CITY Culinary Center: Fully-equipped restaurant-quality kitchen is perfect for dinner parties, cooking classes, food photography, caterers, and team building events. 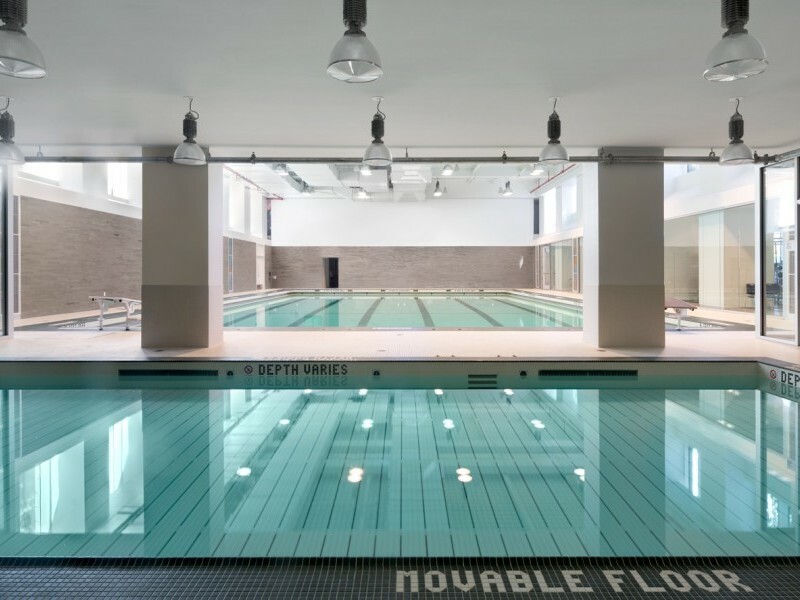 BATTERY PARK CITY Pools: Rent a single lane or our entire 25-yard lap pool. The teaching & exercise pool features warmer water and a movable bottom. Limited availability.